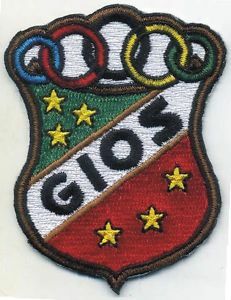 The bicycle, used for recreation, transportation and even sporting entertainment, is a natural outlet for embroidered patches. 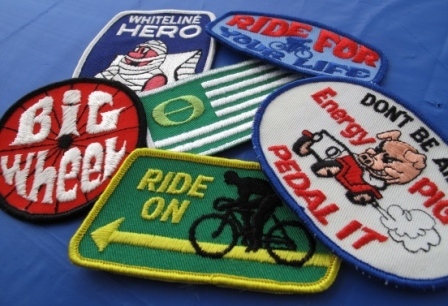 Cycling equipment manufacturers, recreation destinations and races, and many other bicycle related areas and events all use the power of the embroidered patch to help promote their products and the cycling lifestyle. 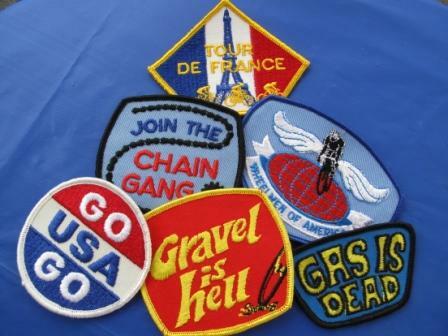 Even members of the Boy Scouts, long known for their embrace of embroidered patch artistry, have a wide variety of cycling events and use patches to signify participation and promote fellowship. The Tour de France, the most famous bicycle race in the world, uses embroidered patches to help promote the race. As the course is lined with spectators, many will be wearing hats, shirts, jerseys and jackets emblazoned with embroidered patches trumpeting their support of their country, specific teams or riders, or one of the many specialized cycling equipment manufacturers that use the race as a promotional vehicle for their products. 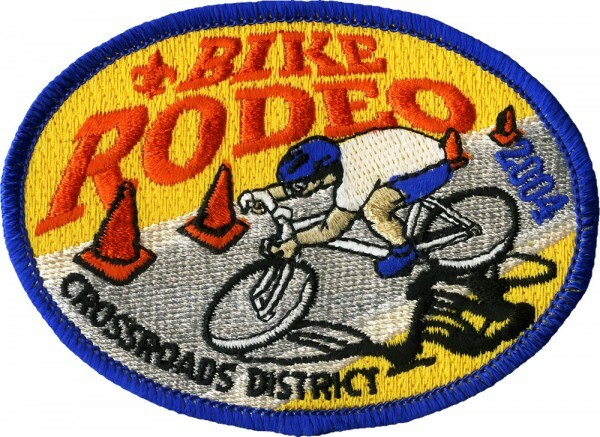 Other races and recreational rides often feature an embroidered patch for participants. 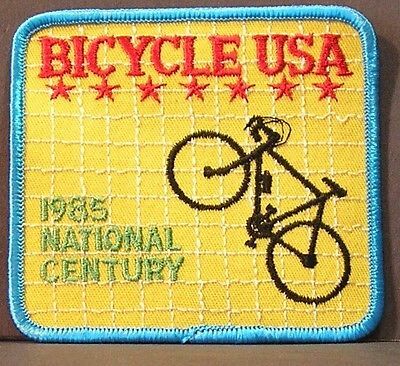 A “century,” cycling’s nickname for a ride of 100 miles, is often commemorated with an embroidered patch. Cycling as an alternative to automobile transportation is the subject of many humorous and fun embroidered patches. 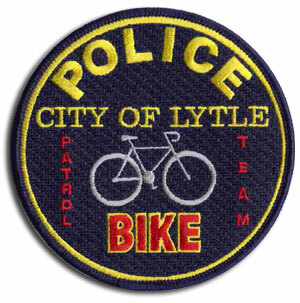 Many urban and suburban police departments are realizing the effectiveness of officers patrolling on two wheels and have established special bicycle units, complete with embroidered patches. 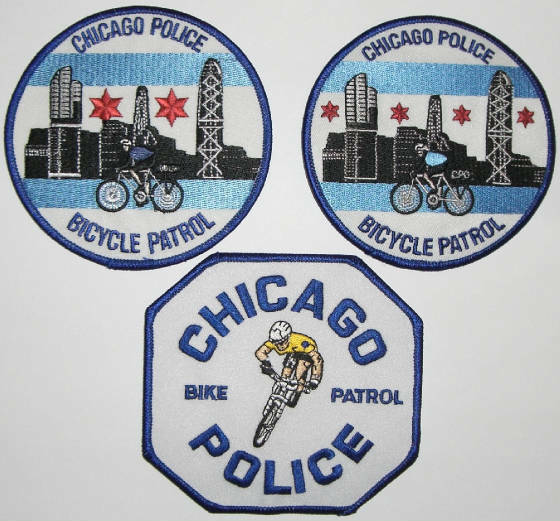 Two-wheeled fun and excitement is even better with an embroidered patch; get rolling with ideas from the Chicago Embroidery Company, contact us at sales@c-emblem.com, by visiting www.c-emblem.com or call 312-664-4232. 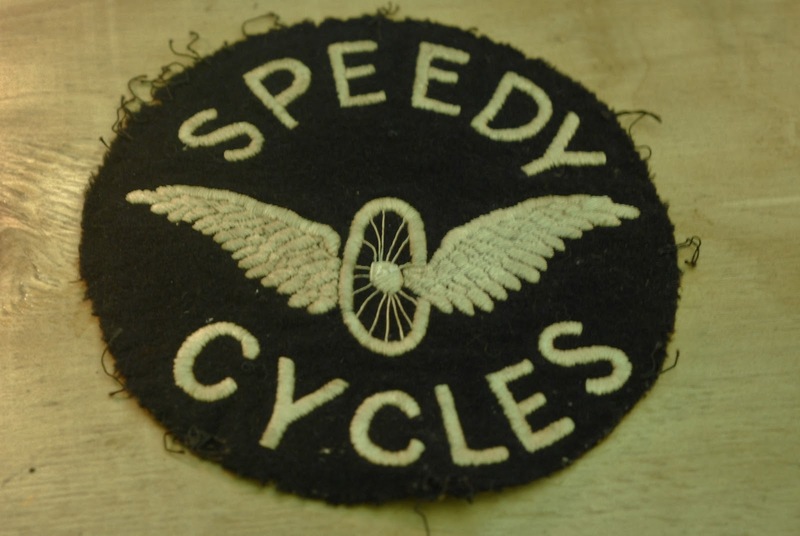 This cycling patch dates back to the 1920s.